Peyton suddenly slumped over in his walker and began shaking uncontrollably. It all happened quickly. Someone called 911. The ambulance arrived in what seemed like seconds. Paramedics ripped Peyton’s body from his father’s arms, and Derek’s heart shattered as he caught one last glimpse of the paramedics working over his son’s unresponsive body as the ambulance sped away. 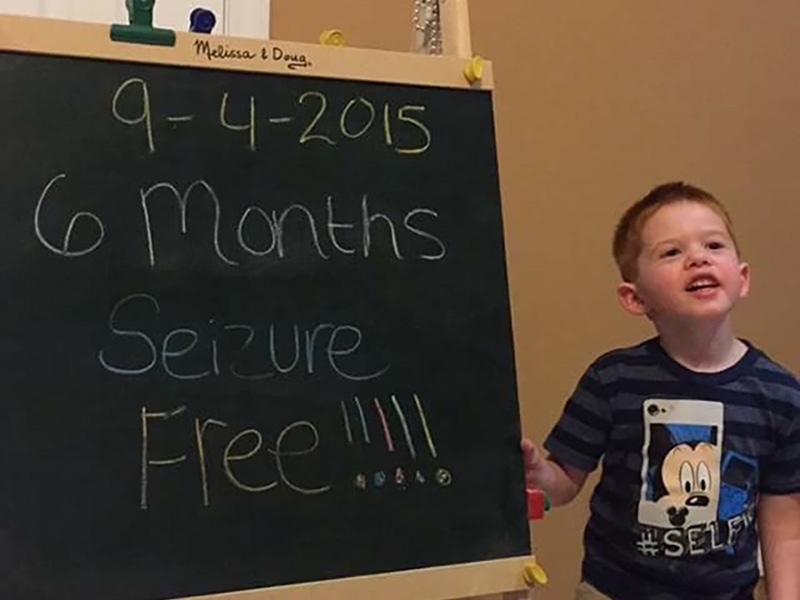 Two months later, Peyton had another violent 45-minute seizure. After a third seizure and another trip to the hospital, during which Peyton stopped breathing, the Zensen’s were desperate for answers. 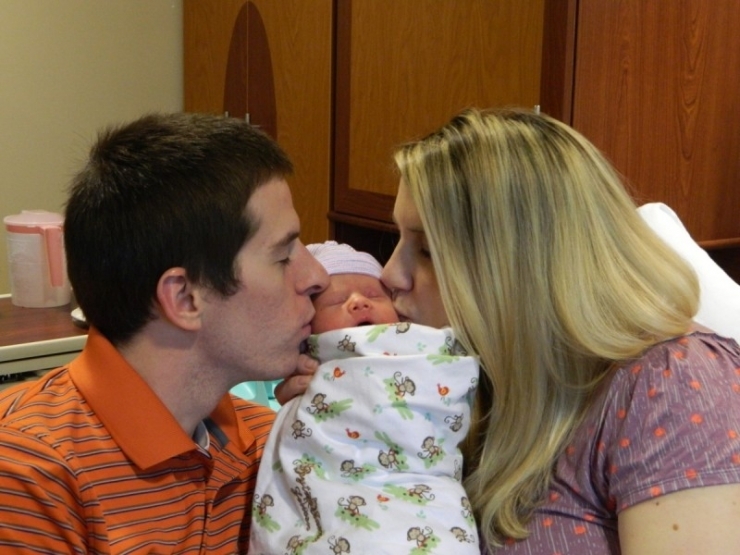 While all tests came back normal, Peyton’s seizures became inexplicably more frequent. Finally, in late 2013, genetic testing revealed that Peyton had Dravet Syndrome, a rare catastrophic form of intractable epilepsy that begins in infancy. What makes Dravet Syndrome different from other forms of epilepsy is that individuals with Dravet suffer from all the different types of seizures: tonic clonic, myoclonic, absence, partial seizures, etc. Children who suffer from it also face a higher risk of SUDEP (Sudden Unexplained Death from Epilepsy). Since there is no cure, doctors can only try to come up with a concoction of medication to control the seizures. Controlling them proves to be difficult because Dravet Syndrome tends to be medicine resistant. The seizure activity of those who suffer with the condition is always in constant flux. In Peyton’s case, finding a medication mix is like playing a game of Whac-O-Mole. Just when he sees some improvement, a different type of seizure will rear its ugly head with a different frequency and it’s back to the drawing board. For this reason, it is imperative for him to continuously see his neurologist for medication changes in response to his varying seizure activity. 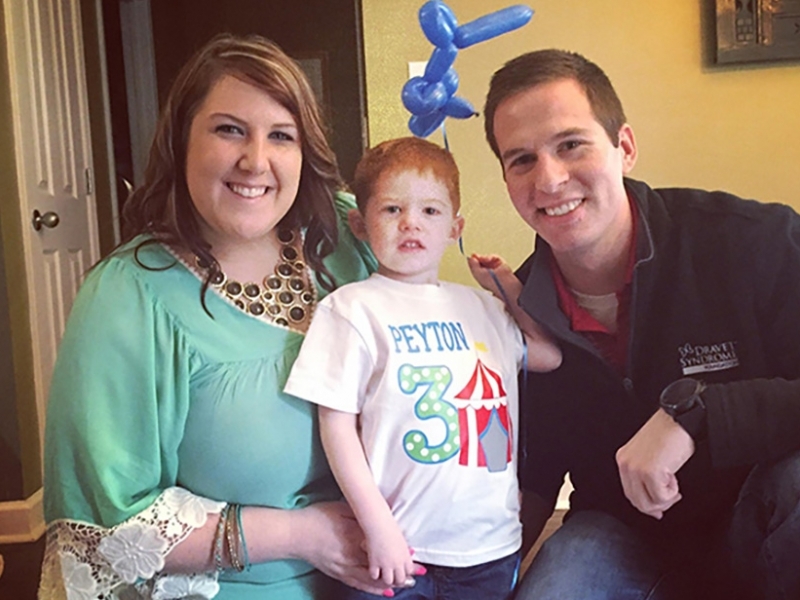 In the long term, Peyton will not outgrow the condition and it will continue to affect every aspect of his daily life. The syndrome will likely plateau his development and eventually lead to a progressive decline. Despite having a lurking condition that could strike at any time, you’ll always catch Peyton with a smile on his face. The medical roller coaster, combined with Peyton’s constant care, has led to a financial and emotional strain on the Zensens. However, Derek is determined to give his son the best life possible, but that quest is made difficult when Derek knows his son may seize at any point during the night, leading to brain damage if not treated quickly. As an avid Chiver for years, Derek applied for a grant with Chive Charities hoping that the endless generosity shown by Chive Nation could help him with his quest to give Peyton a fighting chance, and Chivers never let one of their own down. Chive Charities is helping the Zensens by purchasing essential equipment that will make it easier to monitor Peyton’s seizures. Part of the $4,000 grant will go toward an Emfit machine, which will detect and alert Derek of Peyton’s seizure activity while he sleeps. Due to the constantly changing needs in Peyton’s medication, he must visit the neurologist frequently. The Chivers are also helping cover the visits not covered by insurance. 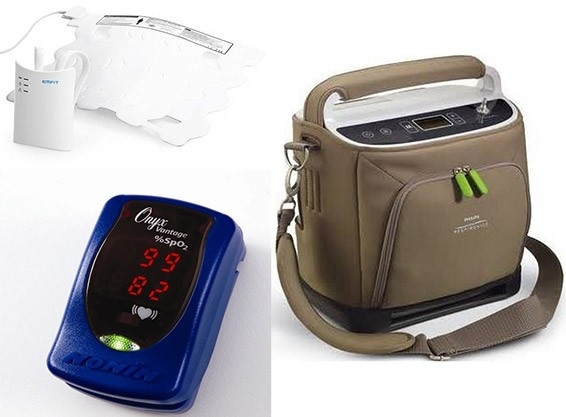 In addition, a new pediatric pulse oximiter will help the Zensens monitor Peyton’s oxygen levels during his seizures. The grant will also cover a Respironics portable oxygen machine, ensuring that Peyton will always have an emergency supply of oxygen while he’s seizing. Despite having a lurking condition that could strike at any time, you’ll always catch Peyton with a smile on his face. He’s a happy kid that loves to be outside kicking a soccer ball, throwing a football or playing near the creek. 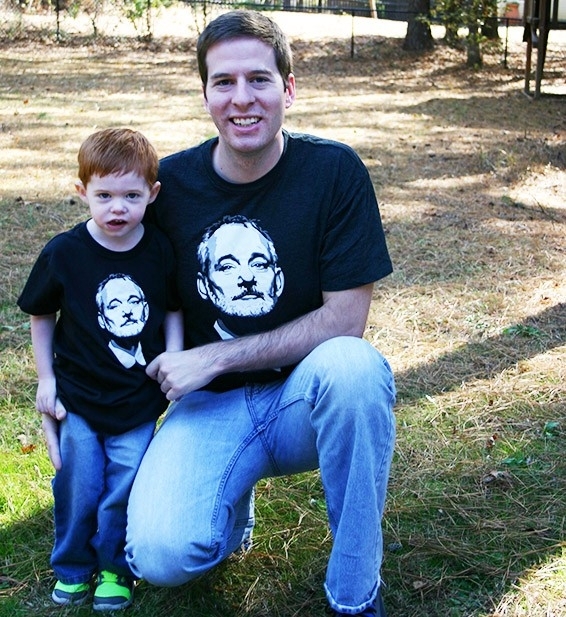 Thanks to continued support from the Chive community, it will be that much easier to keep that smile on his face. 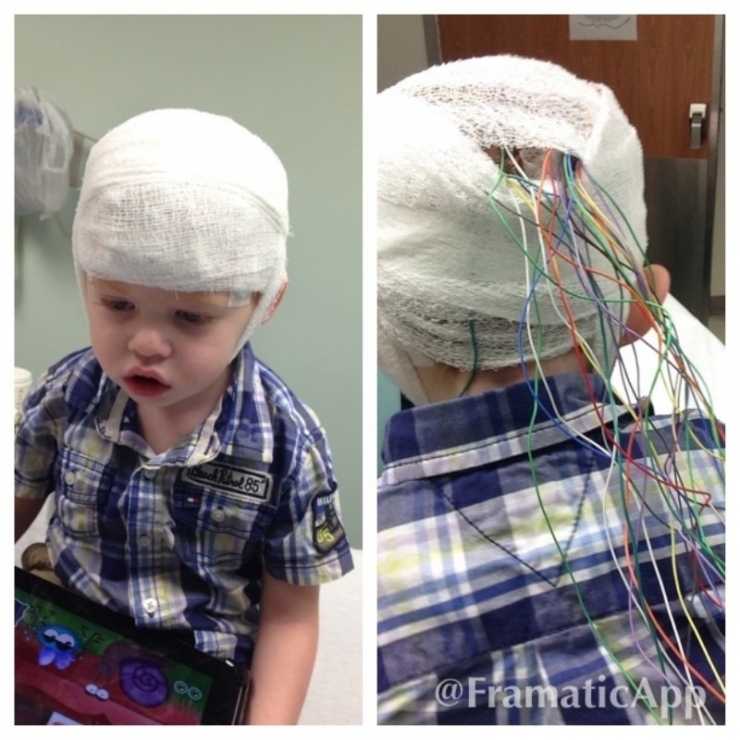 Following his scary seizures, doctors ran extensive testing on Peyton to attempt to find answers. In one month, Peyton had a cluster of 5 violent seizures within 2 days. 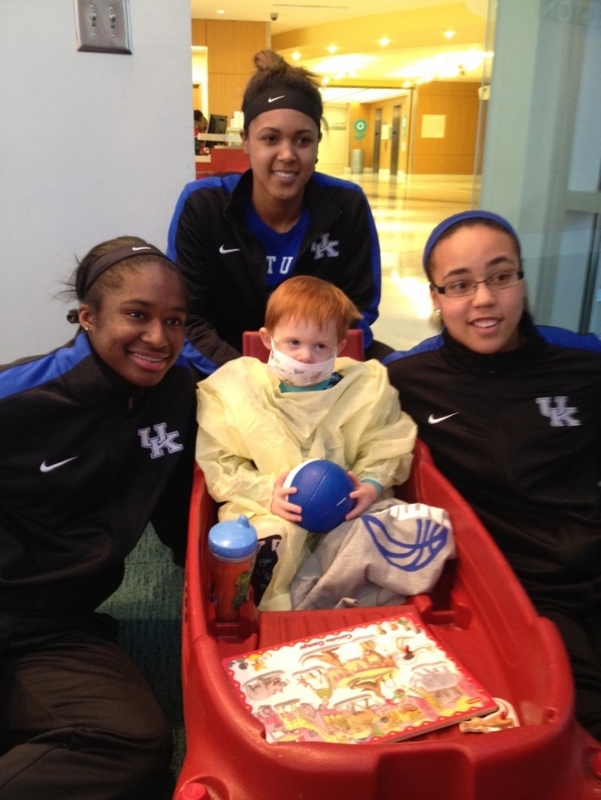 While he was in the hospital, the Kentucky women's basketball team paid a special visit to Peyton. 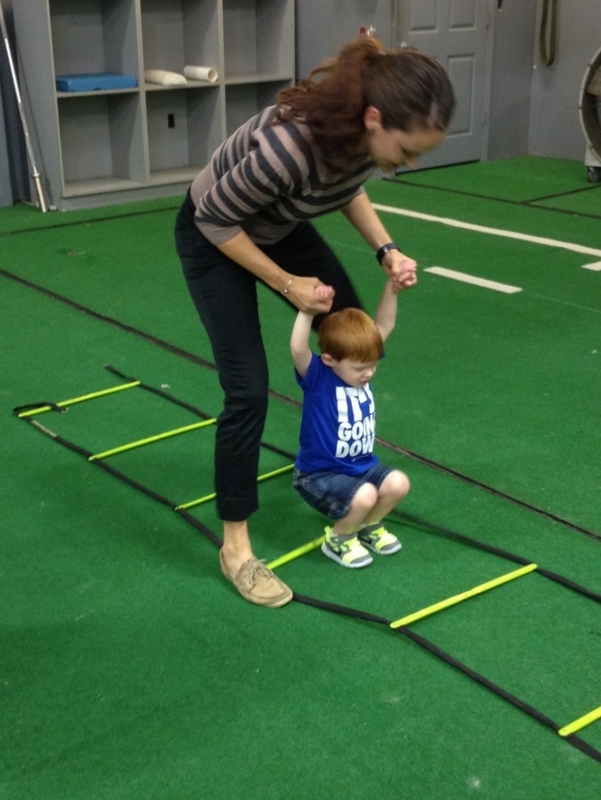 Peyton goes to physical therapy and speech therapy twice a week to prevent the regression of his fine and gross motor skills. 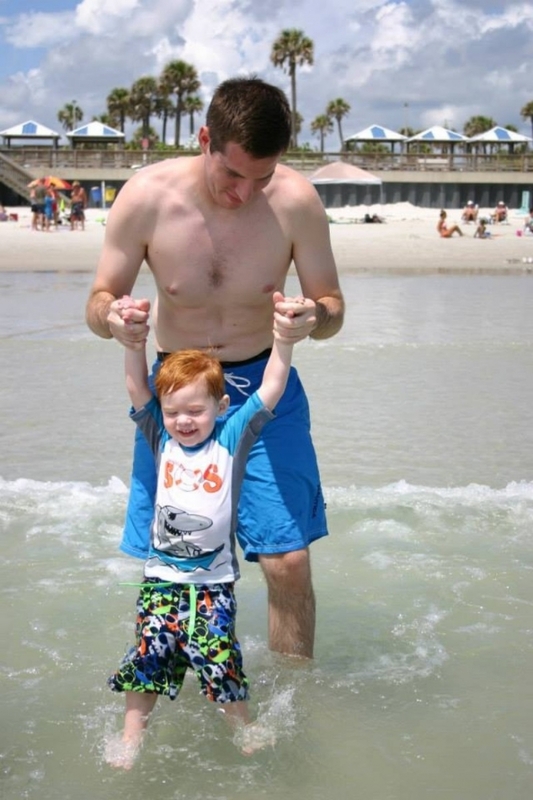 Peyton’s favorite thing is playing outside in the water, however, being outside can lead to overheating which is one of the triggers for his seizures. 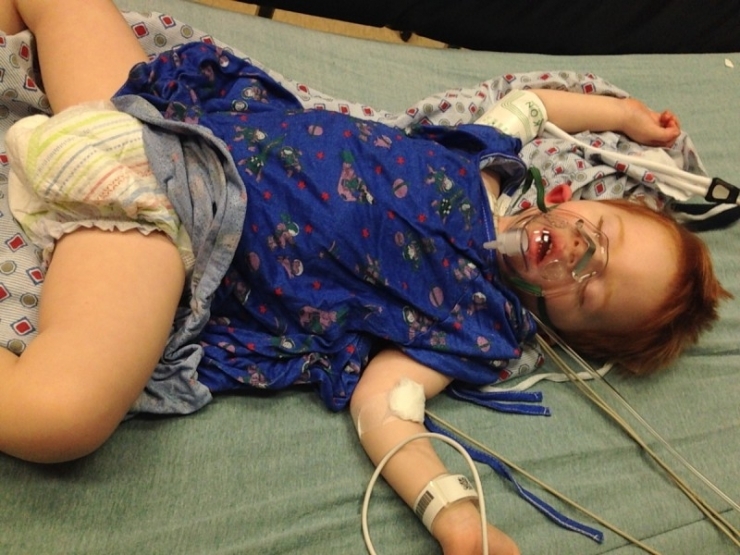 Chive Charities purchasing important equipment to help monitor Peyton's seizure activity. The grant will also pay for additional medical appointments to make sure Peyton's medication is as effective as possible. Doctors don't really have a long-term prognosis for Peyton. Other children with Dravet syndrome vary greatly from complete independence to terminal cases before the age of 6. The unknown never keeps Peyton from smiling, though. The Chivers are determined to keep that smile on his face through their support, and Peyton's father, Derek, couldn't be more grateful. "My goal is to let Peyton be able to live the most normal life possible,” he explained. “I want him to experience things that others may think are trivial. 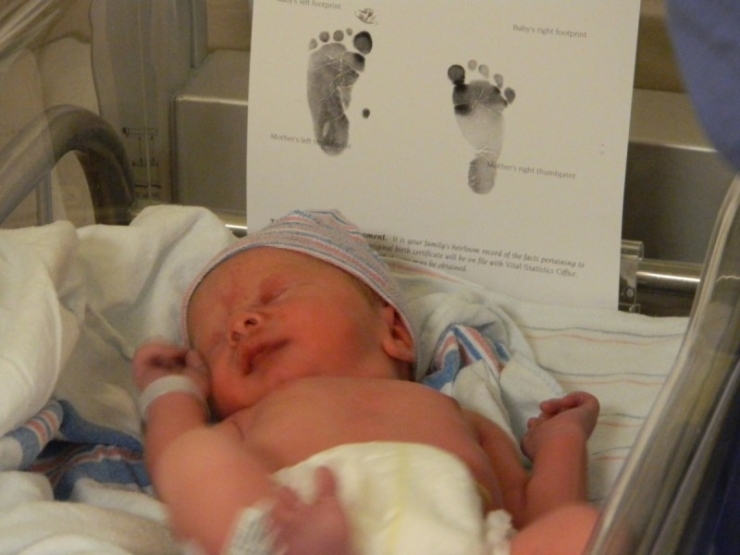 I am truly amazed by your organization and feel blessed you are giving me the opportunity to make my son’s life a little easier."